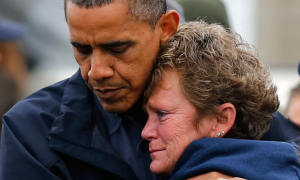 Empathy Part 2: Learning from Barack, Brené and Rats! As humans we suffer from an empathy deficit, according to Barack Obama. For the last decade, he has given some 60 speeches, writings and interviews on the importance of empathy. 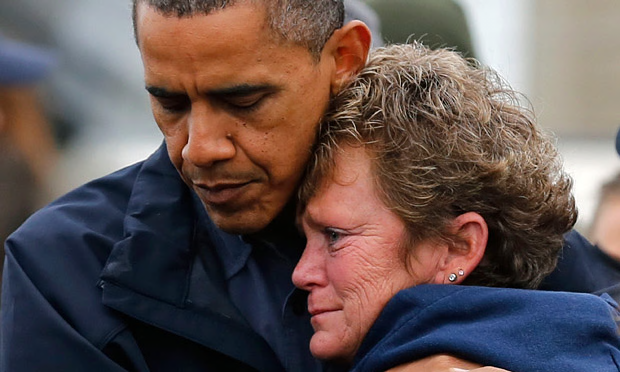 This photo shows Obama consoling a victim of Hurricane Sandy some years ago, and his empathy seems very genuine. Some 22 million people have seen Brené’s video, The Power of Vulnerability. “In our culture,” she teaches, “we associate vulnerability with emotions we want to avoid such as fear, shame, and uncertainty. Yet we too often lose sight of the fact that vulnerability is also the birthplace of joy, belonging, creativity, authenticity, and love.” Brené states that if we can drop the armour that protects us from feeling vulnerable, we open ourselves to the experiences that bring purpose and meaning to our lives. She dispels the myth that vulnerability is weakness and reveals that it is, in truth, our most accurate measure of courage. As humans we’re surely better than the creatures used in scientific experiments as a precursor for testing something new on humans – rats! Sorry, but the research says otherwise. In 2011, researchers at the University of Chicago conducted an experiment to determine whether a rat would release another rat from a cage without getting a reward. The answer was yes. “The rats learned intentionally and quickly after some sessions to open the restrainer and release the caged rats.” They also repeated this behaviour even when denied the reward of reunion. Even more remarkably, when the rats were presented with two cages, one containing a rat, the other chocolate, they would choose to open both cages and share the chocolate. The researchers reached the inescapable conclusion that the rats were displaying empathy! My inescapable conclusion is that we can learn from Barack, Brené, rats and each other on the importance of empathy in our everyday lives. I suggest you ask yourself: How empathic am I? Do I suffer from an empathy deficit? And to what extent do I hide or appropriately reveal my vulnerability?